One look through thie beautifully designed book and you step back into the heyday of the Follies. The sumptuous and elegantly composed sepia toned portraitsof women who knew how beautiful they were, invite you to linger and wonder who else was in the room at the time. 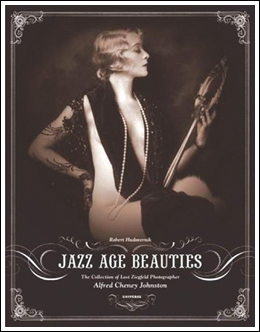 Alfred Cheney Johnston was Florenz Ziegfeld's official photographer, but he also captured many early film actresses. His influence on subsequent Hollywood photographers like Hurrell is quite apparent. With minimal but informative text, including how this long lost treasure was found, you can focus all the more on women who represented the standard of beauty in an earlier time. 256 pages, HC, 9" X 7".